Cookware made from colorful, enameled cast iron is sought after because of its gorgeous tabletop aesthetic and versatility in the kitchen. However, due to the price and weight of these beautiful pieces, many foodservice establishments either can't afford them or find them too cumbersome for daily operational use. As a dealer sales rep, those two setbacks make it difficult to sell enameled cast iron to your foodservice clients even though so many of them want the look and feel. To help you tap into this demand, here at G.E.T. 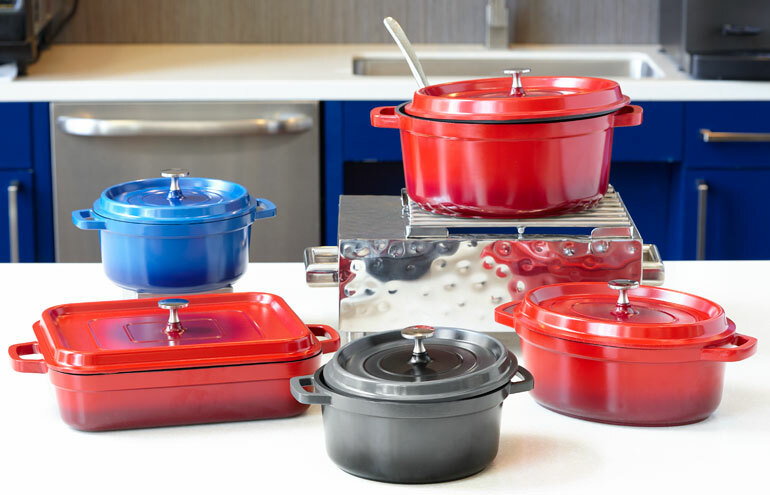 we've developed a new line of commercial cookware called Heiss™ that solves for these issues because it's made with induction-ready cast aluminum. You can help your clients by offering them Heiss™ cookware thanks to these and other benefits. Due to the versatility and a price point that’s within reach for almost any operation, you can enjoy healthy commissions because you now have a mass market selling opportunity. Let’s take a quick look at how you can earn more commission selling Heiss™ cast aluminum cookware than enameled cast iron. Cash Convenience is king in the current economy. Consumers increasingly want products and services now, and that drive, with the help of technology, has led to the creation of the on-demand economy. You don’t have to look far to find examples of companies feeding these demands: Amazon drone delivery, Instacart, DoorDash, Uber, Lyft, Eat24, and so on. Millennials created the on-demand market and now people in every demographic look for and expect convenience built into their buying experiences both online and in person. If you run an independent or small chain hotel, tapping into the typically high-tech on-demand convenience trend can seem overwhelming. Tech is expensive to develop and often requires large investments and teams to work through the noise to produce something – a gadget, an app, a loyalty program – that your guests will value. For large chains, sometimes the feedback loop or tech is meant to serve the large scale need vs. the local demand, which can be a miss. But it doesn’t have to be that way. 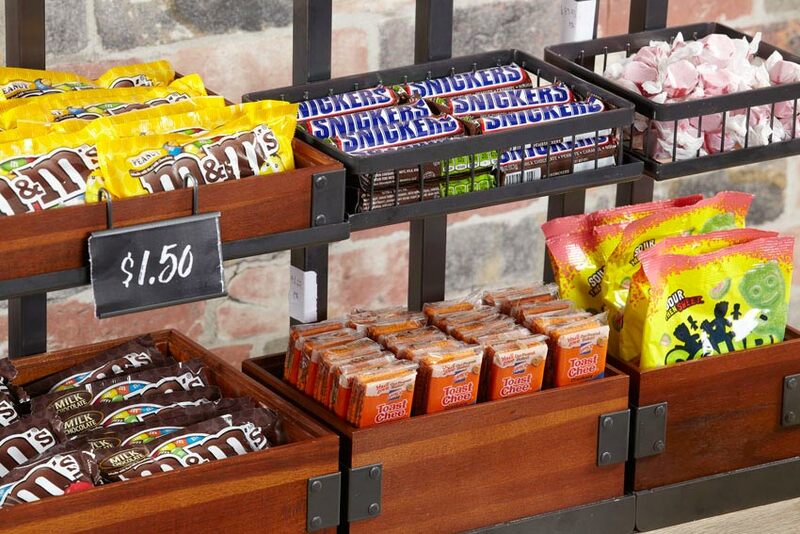 Hotels of all kinds can go low-tech to answer the on-demand call by creating attractive marketplace displays stocked with items that guests of all ages will love. You’ll create value by providing the convenience your guests are looking for, and you’ll differentiate yourself from the competition in the process. A few decades ago, most folks regarded melamine plateware primarily as a superior option to paper plates for outdoor dining only. Even today, many people still perceive melamine dinnerware to be for poolside or patio use only because it is commonly shown in retail stores for outdoor entertainment solutions. 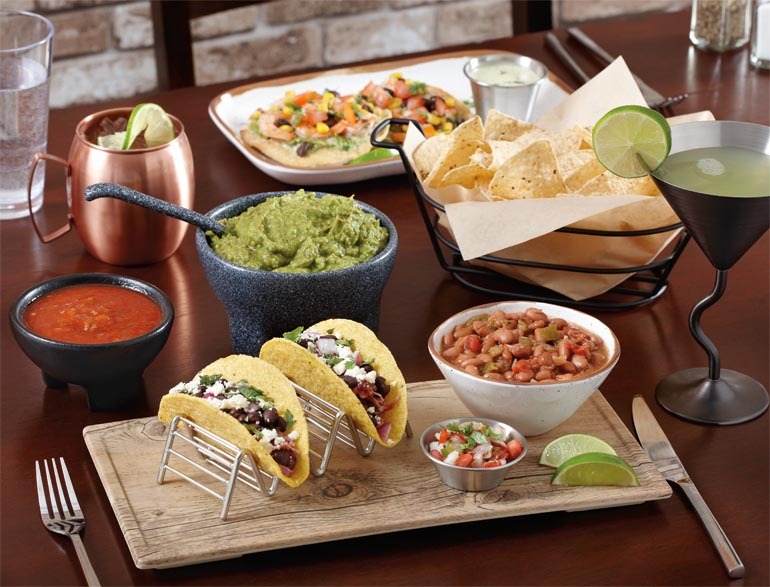 However, just like most of us have moved on from dial-up modems to connect, melamine tableware has entered the 21st century in style due to advancements in alternative materials, design, and manufacturing. These advancements are exciting because it means that you now have plenty of elegant options for your foodservice operation, whether you're serving inside or outside.